Rockwool insulation is a popular insulation type for reducing sound in your home, in addition to keeping it warm in the winter and cool in the summer. Also known as mineral wool or slag wool, rockwool insulation is made from rock, blast furnace slag, and other raw materials. These materials are melted and spun into fibers to resemble the texture of wool. Like other types of insulation, properly installed rock wool insulation keeps your home cooler in the summer and warmer in the winter while effectively lowering your heating and cooling bills. The second –if not the first– most popular use for rockwool is noise reduction. 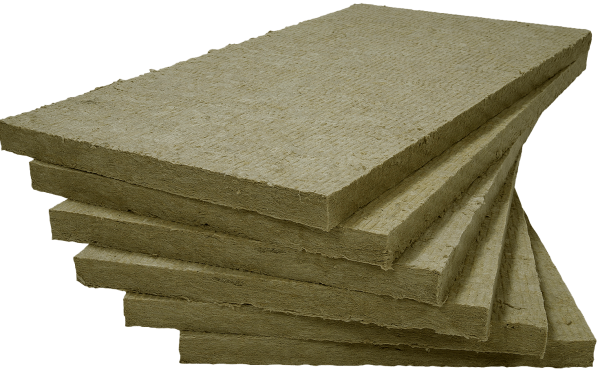 Rockwool insulation effectively muffles the sounds in both high and low frequencies. If you live in an area with busier streets, this type of insulation could be your best choice. Most importantly, rockwool insulation helps keep your home cool during the summer and warm during the winter. This means that you and your family will feel more comfortable inside your home all year long. Because rockwool insulation helps your home maintain its internal temperature, this means your heating and cooling systems don’t have to work overtime. Not only that, it also means it would take less time for your home to reach that ideal temperature. Less work for your heating/AC units means lower energy bills! Rockwool insulation helps reduce the levels of percussion in your home by absorbing the vibrations and reverberations from inside and outside. In fact, many homeowners choose rockwool specifically for its sound attenuation. This is ideal for those who enjoy peace and quiet, as well as those who want to improve sound quality in media rooms. Rockwool is naturally fire resistant up to temperatures of about 1,832°F (1000°C). Because it does not need any added chemicals to make it fire-proof, it will never lose this capability. This makes rockwool a safer home insulation material. Rockwool insulation is water resistant. To be specific, it does not absorb water. It is, however, vapor permeable. Nevertheless, any moisture will dry out, and when it does, the insulation will return to its original level of performance. Unlike fiberglass, it will not lose its effectiveness, or R-value, when exposed to moisture, even repeatedly. Although rockwool is not as readily available in hardware stores as its alternatives (such as fiberglass), it’s sometimes easier to install. Most importantly, its composition doesn’t include tiny fibers that can splinter an irritate the installer’s skin when handled. If you’re environmentally conscious, you may want to seriously consider rockwool insulation for your home. This type of insulation is very environmentally friendly. Rockwool contains anywhere between 70 to 90% recycled content. Cellulose insulation contains up to 80% recycled content, whereas fiberglass contains 40 to 60% recycled content. Rockwool has great acoustic insulating properties due to its density. Not only does this mean excellent noise reduction for homes by busier streets, but it also means better sound isolation from room to room. Imagine getting to watch movies late at night without disturbing anyone else in the house. Whether you have an in-home theatre or perhaps a garage band without a garage to practice in, your home can benefit from rockwool because it’ll improve sound quality within a room while keeping it inside the room. Installing rockwool insulation in your attic can help keep your home warm in the winter and cool in the summer by trapping pockets of air, minimizing how much warm or cool air can escape your home. Rockwool can be used for unfinished walls when building. The added layer of protection improves a home’s comfort levels all year long. Because of its great acoustic insulating properties, it can really help with noise reduction for homes by busy roads. Professionals can easily install rockwool insulation in tight and unusual spaces. Rockwool is breathable, therefore it allows moisture to travel within crawlspaces, which can help dissipate damp. Trust the experts. Call Cameron Home Insulation today! If you live in Washington, DC, Maryland, or Virginia, Cameron Home Insulation should be your first choice when it comes to selecting the best insulation service for your home. We are an independently owned and operated contractor that has been in the full-service home insulation business for four generations and have expertise in the installation and removal of rockwool insulation. Call 443-290-5182 for more information about our top-notch fiberglass products and professional services. Is it time for an insulation upgrade? In order to maintain a home’s energy efficiency and comfort levels, some types of insulation, such as fiberglass, rockwool, and cellulose need replacing over time. If you aren’t sure if yours is due for replacement, it’s easy and free to get a certified professional to make an assessment. Tell us what your home needs and we’ll be happy to make recommendations at various price points. In order to drastically increase energy efficiency while creating a comfortable living environment for you and your family, we recommend insulating and air-sealing the entire home, from the attic to the basement, and every area in between (crawl spaces, exterior walls, interior walls). How much does rockwool insulation cost? The cost of rockwool insulation will depend on which type it is and how much of it is needed. Also, the amount of manual labor needed will also determine how much the entire service will cost. To get the best estimate, an expert installer would have to inspect and measure the area, as well as asses which type and hope much rockwool insulation it will need. Can I get a free quote? Absolutely! Call us today at 443-290-5182 to receive a free quote. Our experts will help you weigh your options and make sure you get the best solution with your budget. First, at no cost to you, we inspect your home to see what kind of work it needs. Then, we present you with options and help you choose the best one for your needs. Whether your home insulation installation project is big or small, you can count on us to complete it in a way that leaves you fully satisfied. How do I get a rebate? There are certain eligibility requirements you would have to meet in order to qualify for a rebate. Read this blog post for more information. Alternatively, one of our experts would be happy to explain rebate programs for you. R-value is defined as a measure of thermal resistance or ability to transfer from hot to cold through materials (such as insulation, walls, and floors.) The higher the R-value, the thicker the insulation and the more comfortable your home will be. It’s important to note that R-values vary across insulation materials. Rockwool insulation generally has an R-value between 3.0 to 3.3 per inch. WHAT R-VALUE DOES MY HOME NEED IN ORDER TO BE COMFORTABLE DURING A HARSH WINTER? Generally, a home’s ideal R-value depends on what region of the country it is located in, as well as which areas of the home the homeowner plans to add insulation. For example, according to the Maryland Department of Energy, exterior walls should have an R-value ranging between R-13 and R-23, whereas for ceiling and attic areas, the range goes from R-38 to R-49. It’s best to talk to an expert to get your home’s specifics. WHAT TYPE OF INSULATION DO I NEED? Again, this depends on where you plan to install insulation and your region’s building codes (i.e. required R-values). Please refer to the previous question. When is the best time to insulate? While it’s common for homeowners to insulate in preparation for a hot summer or a cold winter, it’s always a good idea to prevent a spike in energy bills before they happen. The fact of the matter is, while one’s home may already have insulation installed, many forms of insulation don’t last. In order to maintain their efficiency, many forms of insulation eventual replacing. In worse cases, some homeowners only think about replacing their insulation after the underperforming insulation has already damaged other parts of their home (i.e. a pipe burst after being exposed to freezing temperatures). Luckily, professional insulation contractors install insulation all year round. If you live in the DC-Maryland-Virginia area and you’re not sure whether you need to replace or upgrade your insulation, call 443-290-5182 to speak to one of our experts. Don’t worry, a consultation is free! Call 443-290-5182 for your FREE installation quote!